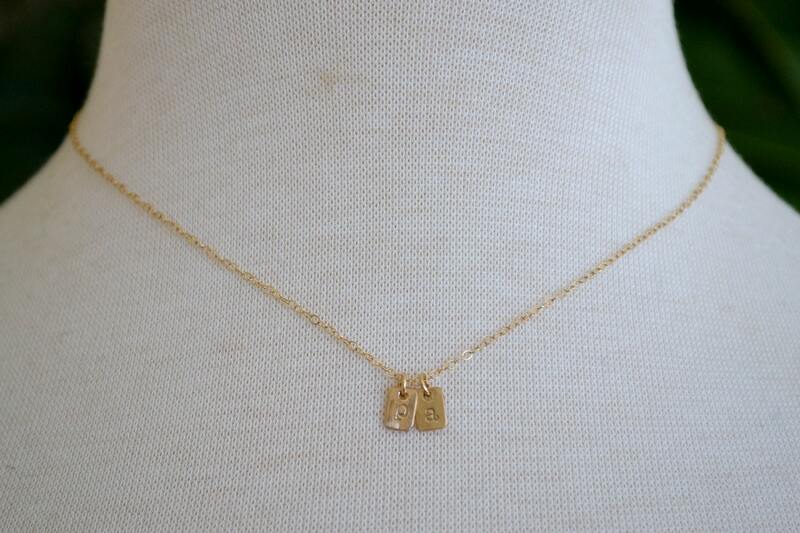 Each charm is made to order, cut, hammered and stamped by hand using 14K Gold. The font is classic American Typewriter. Every piece will have slight variations that make it original. The charm is perfectly imperfect, just like the story it tells. Hung from a delicate gold-filled chain and finished with a gold clasp and Lucia K. hallmark tag. 1. sterling silver charms with gold chain. 2. sterling silver charm with sterling silver chain.